Love was in the air for this engagement session; Alexandra and Lance were the cutest couple and the A.W. Perry Homestead in Carrollton, Texas made the perfect setting to tie in with their upcoming rustic-country themed wedding. At their gallery reveal, they chose this image for their "Save the Date" cards which I then custom designed, right down to the specific font that Alexandra wanted, and ordered them with their return address on the envelopes to make their lives a little bit easier during this hectic time. As an extra bonus for my engagement clients, I provide a blank spreadsheet for the couple to enter their mail list into and return to me. I then print out three sets of mailing labels for them and deliver with the cards; one for the Save the Date cards, one for the wedding invitations and one for the thank you cards. Tracy Allard of Penny Whistle Photography is a Certified Professional Photographer with the organization Professional Photographers of America; a designation held by fewer than 2,500 photographers nationwide and a hallmark of consistency, technical skill, artistry and professionalism. 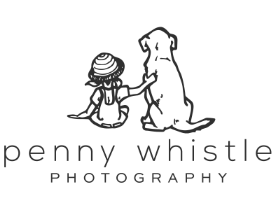 Penny Whistle specializes in both natural light and studio photography providing child, engagement (couples), family and pet portraits as well as corporate headshots and commercial photography in her studio located in old town Carrollton as well as out on location in Coppell and surrounding communities in Dallas – Fort Worth, Texas.